I have been a little bit silent over here lately, unintentionally. I am not really sure the reason but I think I have just been in a bit of a funk in general + not sleeping well most nights so I have been doing a lot of nothing when my girls nap each day. Hopefully I will be able to get a more regular schedule going again soon! Just wanted to share a few cute pictures about our goings on as of late! These two sweet sisters really are just the best of friends. I pray they will always have the precious relationship that they have today. Random strangers tell me all the time to "just wait" and that "they will hate each other and fight all the time when they're older" (why do people say things like this?!) but I hope and pray that they will always have a sweet bond. Sisters are bound to have little tiffs here and there, but hopefully a strong foundation will keep them close. I was able to get some more photography practice in doing my daughter's 2 year old pictures with a sweet friend of mine and I have been having a lot of fun editing (and re-editing as I learn new skills and tricks) the ones I took. I will have to share them whenever I get them all done, but this one just makes me smile so much. I have very dark, naturally curly hair so I was thrilled when my first daughter was born with a HEAD FULL of black hair. Then it basically all fell out and came back in almost blonde and totally straight! 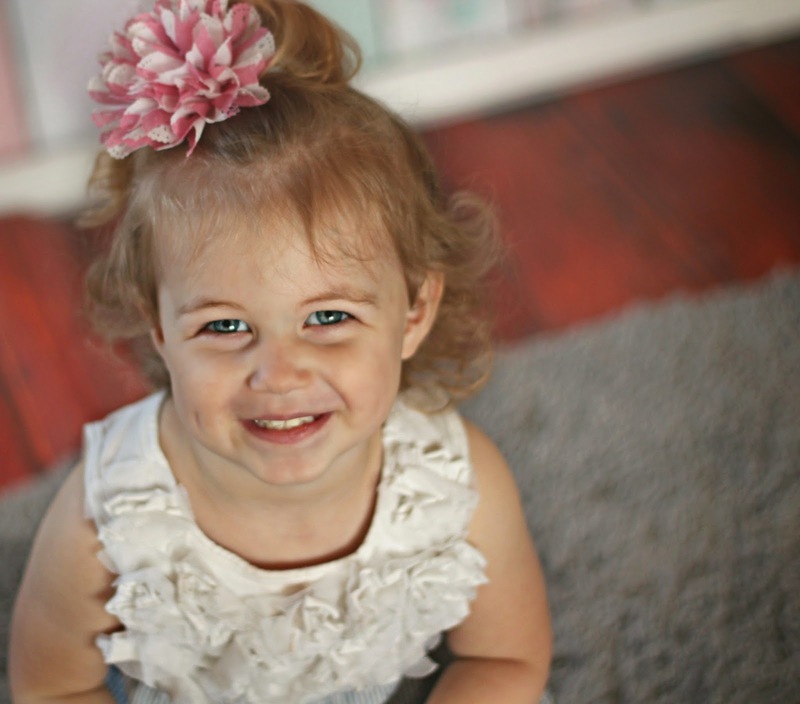 Then this cutie was born and right around the time she turned 1, her first little ringlet popped. 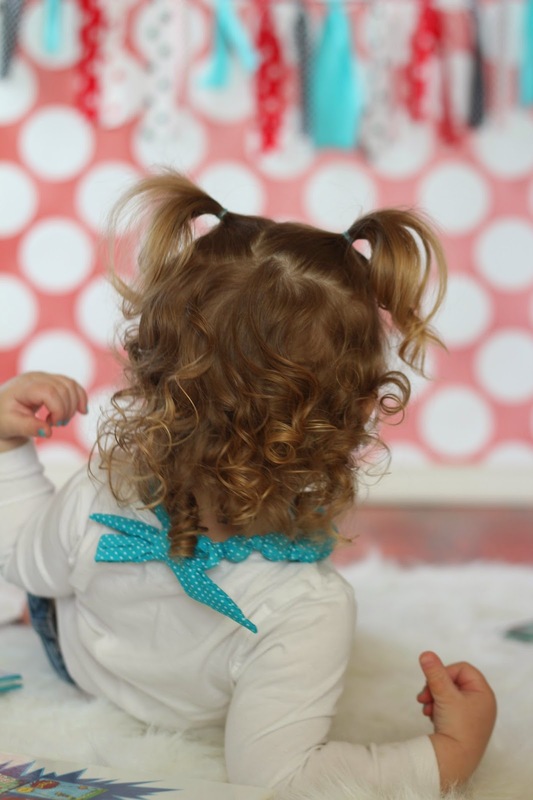 I just love her curls so much, they are so precious to me! This was another one of my favorites from the shoot. I love her little dimple that she has had from birth! This is obviously not the best picture, but I have a feeling it is one that I will treasure through the years. 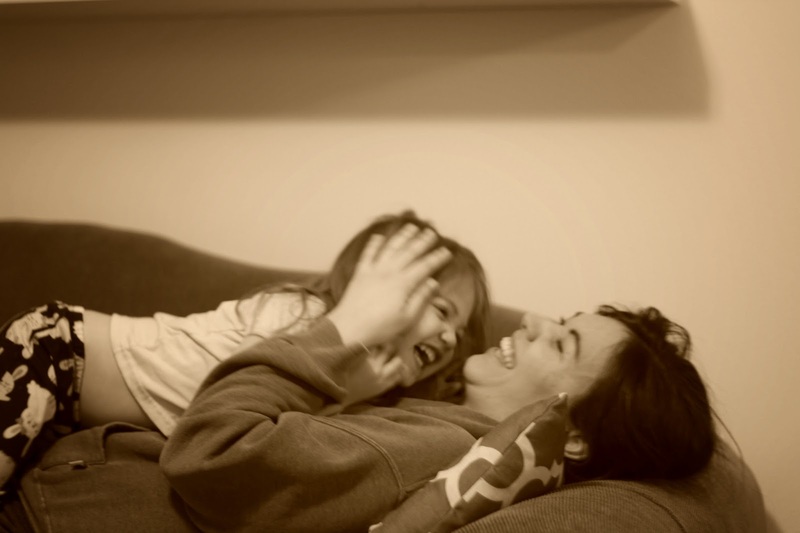 My husband caught my daughter and I having a laugh fest on the couch one night and I can't help but laugh every time I look at this one. 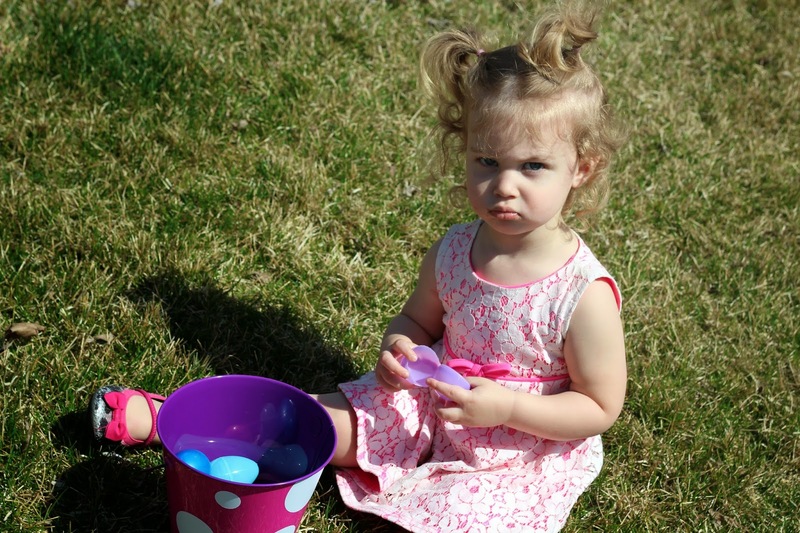 Sometimes egg hunting is really hard. Those lips though. It's Thursday so that means another PINCRAZY party!